Choosing our team means that you and your family can focus on your physical and emotional wellbeing while we focus on your financial wellbeing. Call now to discuss the details of your case. This site is under construction. Thank you for your understanding. We are excited to have our new site up and running soon! Every case matters to us. We will guide you through the process, making sure you understand your rights. At the Law Offices of Tara L. Eubanks, PLLC we pride ourselves on taking the time to listen to our clients and understanding their situation and needs. We are strong advocates for our clients both in and out of the courtroom and are sympathetic to their plight for justice. We protect our clients’ rights and advocate for their interests with tenacity, commitment, compassion, perseverance and dedication. 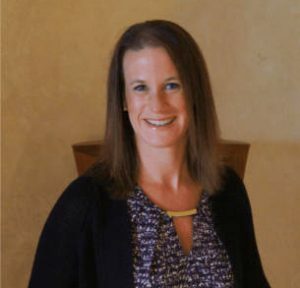 Hello, I’m Tara and I have made it my mission the last 14 years to help my clients in every way I can in their recovery process — physically, emotionally and financially. An injury can turn the world upside down, and it is my job to lift the burden and stress of the legal unknowns and financial worry so you can focus on getting your life back on track. Free consultation to discuss the details of your situation, your rights and your options. We start to contact the parties involved and collect all the information. Enter into litigation or go to court if needed. Get well while receiving the compensation you deserve. Law Offices of Tara L. Eubanks, PLLC is a Personal Injury Attorney serving the Seattle, Washington area, including Edmonds, Everett, Seattle, Bellevue, Issaquah, and other surrounding cities.